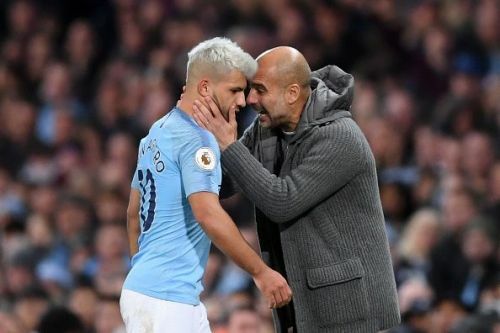 Manchester City are favourites to win back-to-back Premier League titles this season as they lead the league table with 41 points from 15 matches. Moreover, they have also scored 45 goals in this year’s campaign and are likely to break the record for the most number of goals scored in the league in a season. City themselves hold the record with 106 goals in the 2017-18 season. However, if City maintain the resent ratio, they might easily better that record. Pep Guardiola’s side are also one of the most entertaining teams to watch because of their free-flowing, passing football. City had finished the league 19 points ahead of the 2nd placed Manchester United last season. However, they are likely to face a stiff challenge from Liverpool this season for the league title. Still, they have a solid chance of breaking their own record of scoring the highest number of goals in a solitary season. Aguero is into his 8th season with City and 15th season in top-level club football. But the 30-year-old Argentine striker shows no signs of slowing down and is currently one of the highest goal scorers in the league with 8 goals this season. He has scored a hattrick against Huddersfield and also important goals against the likes of Arsenal and Manchester United. He remains a perennial threat for the opposition defenders inside the penalty box. With his rapid movement, quick dribbling and shooting prowess, Aguero always has a chance of scoring against any opposition. Moreover, he is strong in the air too and often outjumps the opposition defenders, who are normally 6 inches taller than him. 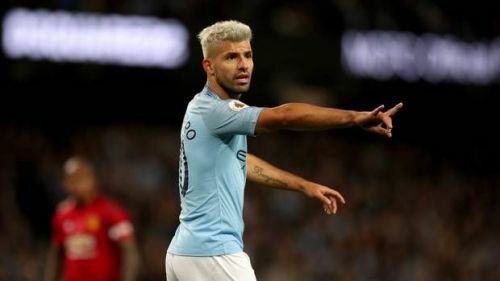 Aguero remains one of the most prolific strikers in the world and is likely to continue his good run for some more seasons. He has already scored 211 goals in 309 matches for City and remains one of the greatest strikers to have played in the Premier League. If City go on to break the goal-scoring record, he would have to play a major role in that cause.